The first decade of MESA Engineering®’s success was due solely to the pioneering and innovative work of Randall Smith and his relentless drive to improve the state of the art in guitar and bass amplification. He and wife Raven created a highly respected, world-renown company that shipped to 38 countries from the mountain shop in the Redwoods of Marin. A rock-solid foundation was laid for the years and accomplishments that would follow. MESA®, the very first “boutique amp company” with its little Boogie® Combo elevated the guitar’s solo voice, changed popular music from that era and beyond, and defined what the modern guitar amp would become. 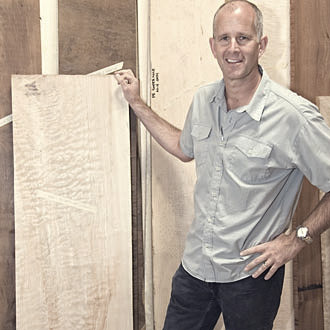 The subsequent thirty-five years of MESA have seen Randy joined by a loyal team of like-minded and inspired contributors in the design realm. Quietly and mostly from within, a tube-tone dream-team would be forged in the hard work and diligence of everyday life in search of excellence at MESA. Making lifelong relationships out of satisfied customers is not something done easily or by dabbling at your craft… you have to live it. The members of this team were doing that every day. It was this inclination that drew them to the round table of design at MESA where their unique talents coalesced to create strength far beyond those of their individual abilities. 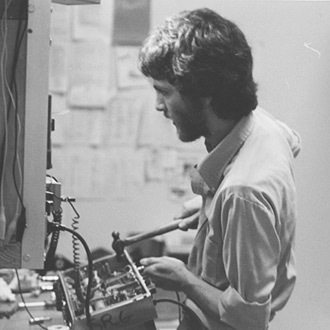 In 1980 Randy had his eye on a young but competent and humble Jim Aschow, who at 18 years old, was performing every job more efficiently, better and with more care than his elder co-workers in the MESA cabinet shop. Randy quickly recognized Jim’s dedication and talents and soon after he was put in charge of manufacturing in the cabinet shop. 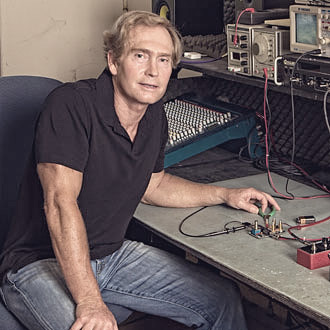 Jim’s relentless desire to improve processes and quality would soon have him in charge of all of MESA/Boogie’s manufacturing and eventually Executive Vice President of the company. His innate understanding of people and an ability to nurture their strengths and win their trust, combined with a humble demeanor stemming from his hard work in everything from the Cabinet Shop to Managing our workforce and Production earned him the nickname Top Jimmy! His deep roots in musical instrument craftsmanship stem from his family’s two generations of world-renowned violin and bow making, out of a small shop in Oakland. 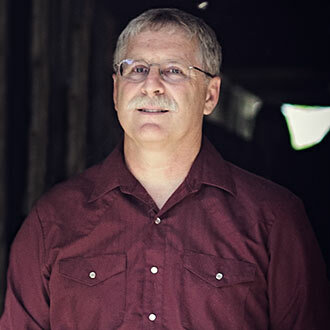 Besides also being a part of the design team, Jim is our resident Cabinet Guru, who over the years has designed what many reviewers have proclaimed, “The best built, best sounding cabinets in the biz”. If Randy is the brains behind MESA… Jimmy is the heart. Doug left his post at Prune Music–albeit ten years behind Randy– to join MESA in late 1981 as a (then Direct only) Sales/Product Specialist on our phone line. 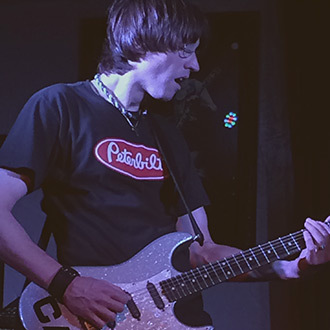 It wasn’t long before he was also play-testing every finished amp and he became Randy’s R&D conspirator in short order indeed… earning him the “Tone Boy” moniker. 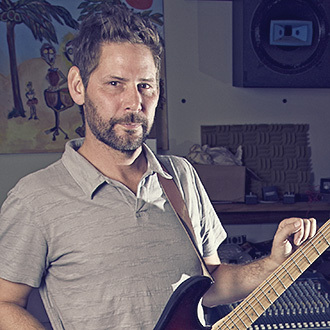 Doug’s track through Prune and the Bay Area’s musical tapestry, along with his gigging experience and passion for all things excellent–especially guitar Tone–makes him uniquely qualified to contribute to–and rally-for our designs. Doug bought his first electric guitar at Prune Music from Randy in 1968 at 8 years old and ordered his first Hun/JBL/Cream Tolex Boogie in 1971 at 11 years old! His role at Boogie® is surely destiny and he makes sure we’ve got soul in everything we build. Realizing MESA could be a leader in the Rack Revolution of the early ‘80s, Doug (West) enlisted the help of childhood friend and budding electronics buff Dan Van Riezen in 1984. 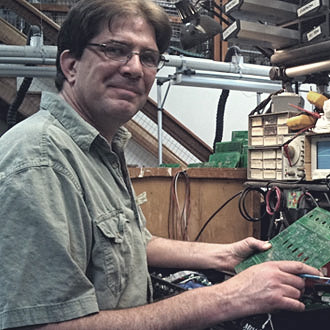 Fresh out of the Electronics Program at College Of Marin, Dan was designing switching circuits and hot-rodding amplifiers. 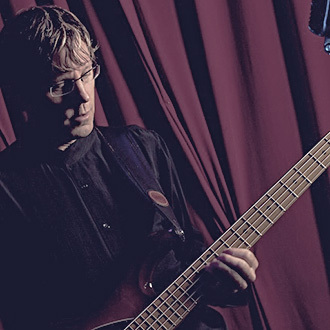 Doug saw the perfect fit at MESA for his talents in products such as the innovative Quad Preamp™ and Midi Matrix™. Dan also grew up in the musical culture surrounding Prune Music and the San Francisco music scene, spoke the same musical language and had the same goals and dreams as Randy and Doug. 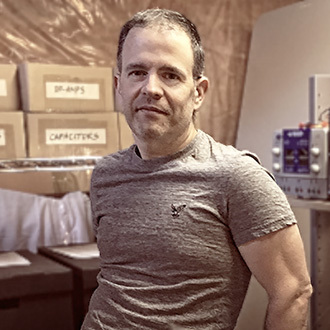 Dan has contributed in many ways over the decades to both our Guitar and Bass lines designing products like the Triaxis™, Electra-Dyne™, Royal Atlantic™, CabClone™, V-Twin™, Flux-Drive™, Grid Slammer™ and Tone-Burst™ for guitar and our WalkAbout®, M-Pulse®, Big-Block™ 750, and Carbine™ bass amplifiers. Every star has five points and if MESA’s Design Team were one, our fifth point would be in Dallas, Texas, a bona-fide epicenter for all things guitar. 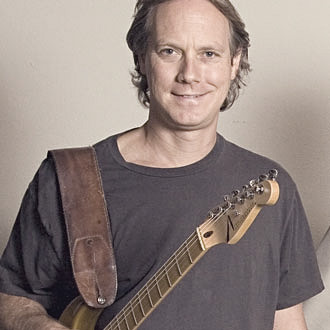 Local Dallas guitarist Steve Mueller was walking by a booth at an AES show in San Francisco in 1994 and recognized Doug West, the man unknowingly responsible for “saving his marriage”. For if Steve had to buy one more amp in his search for Tone, his lovely wife would have thrown him out! After thanking Doug for helping create his MESA Triaxis/290 rig, his Tone and the friendship blossomed, his marriage was safe and Steve was hired to be our traveling Deacon of Tone. Twenty years later Steve contributes in myriad of ways, but perhaps none are more appreciated than his contributions in the R&D area. His experience as a lifelong gigging musician, his uncanny ability to “shakedown” our prototypes and his role as our Sales General Manager gives him a wealth of insight for our designs that is truly invaluable. Twenty plus years in many production roles at MESA make John superbly qualified to act as Randy’s protégé’ and Design Assistant. He has absorbed the secrets and assimilated the knowledge Randy has shared with enthusiasm and a humble grace. All at MESA turn to him for his knowledge and kind willingness to teach and share and he has become a talented and powerful part of the Design Team. He also goes way back with us as he was Metallica's Guitar Tech all through the ‘80s, tending to their mighty MARK IIC+ rigs on Metallica world tours. He even did a stint of coliseum dates with Metallica, standing in on guitar when a pyrotechnic accident burned James’ arm. You think John knows BIG guitar Tone and can play? You Bet! Few employees have Tien’s scope of experience at MESA. With 20 years in the chair that includes everything from Final Assembly to Play-Testing, Customer Service to Artist Relations, R&D to all phases of our Video Production, Tien’s knowledge is vast. He has contributed to every product over the last 17 years and provides a valuable conduit of information from the street, to the stage, to the design table, to our Tone Lounge. Today he heads up our Visual Marketing, producing valuable video to help our customers better understand and apply our wide range of products. His experience on both Bass and Guitar, as well as his depth of product knowledge and application, make him a valuable asset in every aspect of our designs. Again from within, comes an incredible asset to our Design Team and Tom’s contributions in both pre-production proto-typing and design are a real blessing. Working closely with Randy and Dan for years prepped him well and also prompted him to complete a Bachelor’s Degree in Electronics. But long before graduating he had visions of cool guitar and bass products running through his mind. With school and several innovative projects now behind him, he’s free to devote his energy to perfecting our circuit board designs and creating new products. He has the foundational skills along with the real world experience to become an ever-increasing contributor to the MESA magic. With two exciting and successful products under his wings, the Throttle Box and Throttle Box EQ, his future in design at MESA looks bright indeed! Our recent expansion into signal routing and preservation was actually a reconnection with our past and to products like our Midi Matrix from 1986. This decision was spawned by the good fortune of our alliance with Mario Marino, Switching Master Extraordinaire. After the good fight, Mario closed his well-respected, one-man, custom switching solutions company Axxess Electronics due to the inability to keep up with demand alone and problems finding help he trusted. We heard of the travesty and offered to join forces and bring our design experience and production skills to bear and create the ultimate switching solutions for guitarists and bassists. With the imminent release of our first products close at hand, we are excited about this alliance and being able to offer even better sounding, updated switching solutions that feature our custom component resources, build-quality, and accessibility to customer care and help. We are like-minded partners with the same goals teaming up for the betterment of your Tone. Another incredible Design Find is our partnership with Andy Field, who was for many years the main force behind Genz-Benz’ designs and all their wonderful Bass and Acoustic Stringed Instrument amplifiers. This time we heard a restructuring at one of the many wavering corporate musical giants had set Andy free to choose his alliances more carefully, so we reached out to him just as our reputation, integrity and moral compass were leading him straight to us. Synchronicity is a beautiful thing! Andy brings vast experience and a harmonious blend of talents that compliment our Design Team and add new dimensions to our product range. His skills as a designer of musical amplifiers combined with his discerning ear and decades of real-world experience as Front Of House Engineer at the restored vintage theatre he co-owned, gives him the perfect background to see the big picture in product design. It’s not every company that can boast they still have their first employee! Michael Bendinelli came to paint Randy’s ceiling in Lagunitas more than 39 years ago and upon finishing, Randy handed him a soldering iron and asked, “Can you change out these faulty Filter Capacitors?” It was a defining career moment. Today Mike’s role is not strictly one of design, though he crosses that line effortlessly when there’s ground to be gained, Mike is really closer to our Museum Curator and Keeper Of The Archives. Mike’s vast experience goes so far back and is so deep that everyone on the Design Team uses him as the Dictionary Of Tone and he provides needed historical accuracy on virtually every amp we begin. He also looks after the thousands of both Lagunitas and Petaluma-born vintage Boogies that need periodic servicing. There is likely no Tech anywhere that can get an amp prepared for the rigors of the road and Tour-Ready like Mike can. His area often looks like the “who’s touring next” of Rock ‘n Roll as our Artist Roster entrusts Mike with their tour-prep and maintenance. To this day there is no one here who can administer the famous MESA “hammer-test” with Mike’s combination of force and finesse. Great design is essential to any exceptional product, but at MESA/Boogie it is only part of the secret to our longevity and our success. It also takes great execution of the build process time after time to achieve consistent re-creation of the original design. That’s where teamwork enters the equation and we are proud to have an incredible and deeply experienced team of tenured artisans here at the Home Of Tone®. While we don’t have the room here to outline every employee’s contributions, we’d like to take this opportunity to share with you our philosophy, our commitment to and our appreciation for, our incredible staff. Without them and their loyal hard work, expertise and ongoing desire to get better, it would be impossible for us to bring you the level of quality and consistency we do at a price that’s attainable. Their experience and efficiency is what makes it possible for us to remain a small, privately owned company, beholding to no one and dedicated to hand-building the very best products possible here in Petaluma, California, USA. From Purchasing to Warehousing, PC to QC, Wiring to Mechanical, Woodshop to Wrapping, Pre-Tech to Final Assembly, Final Tech to Play-Test, Sales to Customer Service & Support, our team may have no equal in the current musical instrument building landscape. They have been living their roles at MESA, in many cases for literally decades. Our employee average-time-on-job is 15 years and at least half our staff has 25, 30 years, and more with us! There’s just no replacement for that type of experience. With any team, each member plays a critical role and our talented craftspeople take personal responsibility for their part in the magic. You’ll see evidence of this on the QC card that travels with each amplifier through our entire build process and bears the initials of the artisans who proudly created it. We know every single job at MESA is equally important to the final product. Unlike the corporate mindset that operates on the precept of maximizing output through a planned quick-turn, minimally tenured staff, our employees are our biggest asset. That’s why we help nurture their talents and support their growth. We are extremely proud of their experience and their commitment to excellence and ultimately, it is you who benefit from this old-world, traditional ideology.